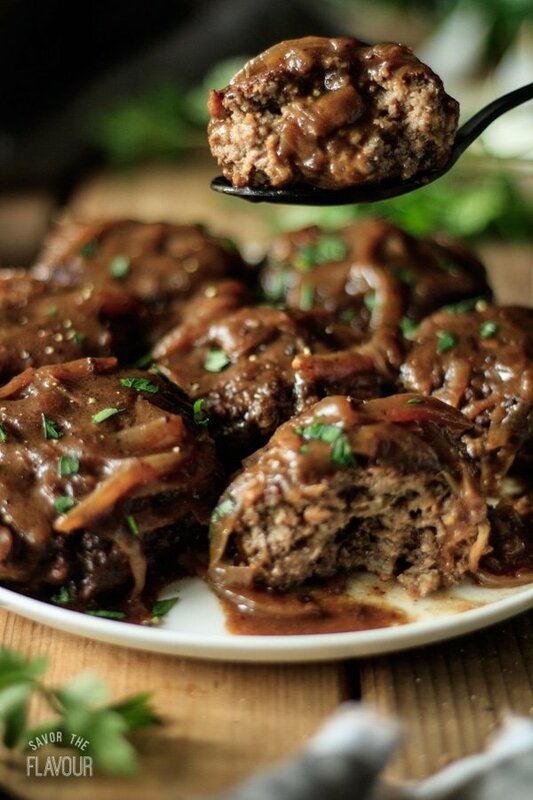 Salisbury steak with onion gravy has been a favorite comfort food at our house for a long time. Really, what’s not to like? It looks and tastes amazing, plus its economical to make. 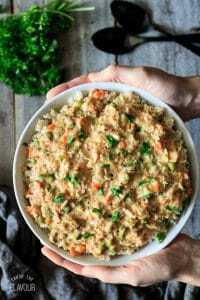 As an added bonus, this dish is low in carbs and gives you 29% of your daily iron. 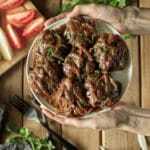 This Salisbury steak recipe has juicy beef patties that are flavored with Worcestershire sauce, liquid smoke, and spices. One egg and one cup of homemade bread crumbs are the binding agents for the delectable patties. 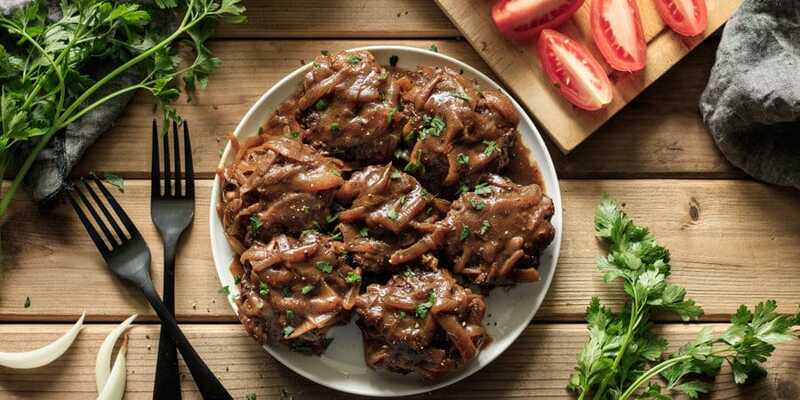 As the crowning touch, caramelized onions are cooked in a flavorful brown gravy which is generously spooned over top of each patty. Garnish with a sprinkle of freshly chopped parsley and serve with our sour cream mashed potatoes and a side of buttered peas. Yummy! 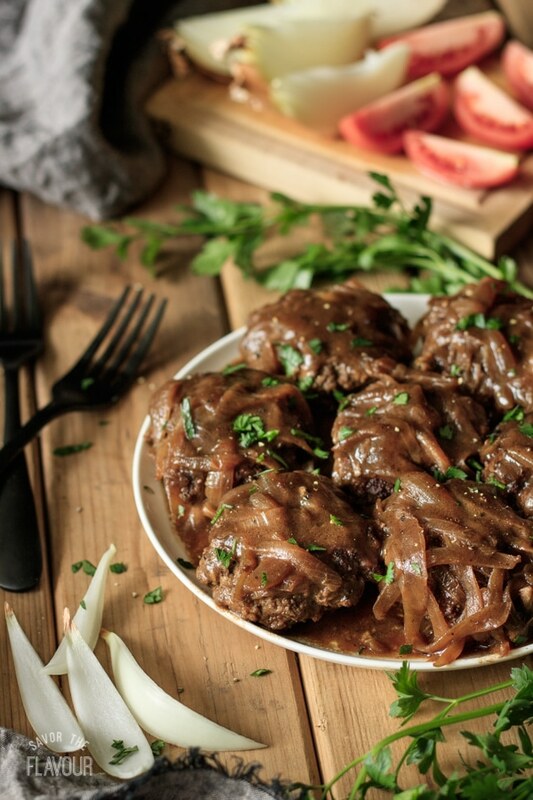 This Salisbury steak with onion gravy is a classic American supper dish that is guaranteed to please each family member and guest it’s served to. Short on time? Skip the oven part and cook each patty longer in the skillet, but the patty will be drier. Want to make it ahead? Cover with foil and refrigerate before baking when ready to eat just bake in the oven for 20 to 25 minutes. Want to be traditional? Serve this main course dish with mashed potatoes and peas. Craving more comfort food dinner recipes? We’ve got you covered. 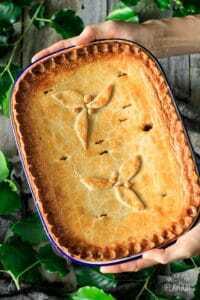 How to Make Irish Dingle Pie: a comforting medley of leftover roasted lamb and root vegetables baked under a 4-ingredient pastry. 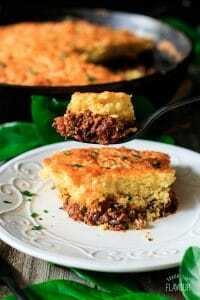 Skillet Chili Cornbread: two family favorites baked together in one cast iron skillet. You can’t go wrong! Skillet Turkey a la King: a one-pot meal ready in about an hour. An extremely tasty way to use up leftover turkey. This is one of my favorite dishes, as the caramelized onions add a juicy flavor to the beef. Definitely deserves a five star review! I’m so glad that you like Salisbury steak! It’s one of my favorite recipes with ground beef, too.